Over the past couple of years, NoMa (roughly defined as the region to the north of Union Station) has seen its population grow exponentially thanks to the opening of several large apartment buildings. Unfortunately, there has not been similar growth in the number of good food options in the area that are open for dinner. NoMa residents are currently restricted to the pricey (and less than stellar) Watershed, a few fast food places, or going elsewhere for food. 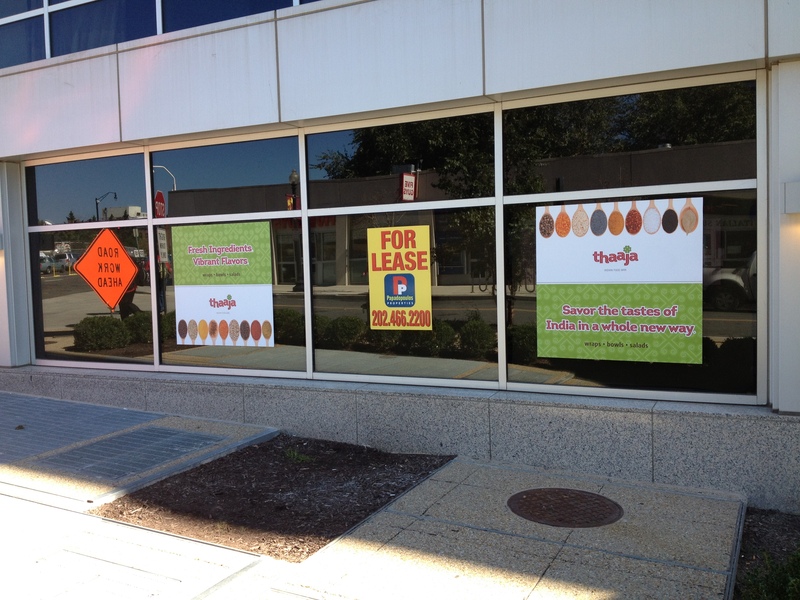 Thaaja Indian Food Bar, 1335 2nd Street NE (in the same building as the Courtyard by Marriott), has the potential to improve the NoMa dining scene when it opens in mid-November. We recently caught up with Thaaja owner Shailesh Kumar to learn more about the new place. Thaaja will be Kumar’s first restaurant and will draw upon the flavors and experiences of the Indian food that Kumar grew up on as a child. Kumar wants Thaaja to show customers that Indian food can be done quickly, while still being delicious, fresh, and healthy. Thaaja is still in the middle of renovations, but Kumar expects that it will be ready to open in November. Once Thaaja has been open for a little while, it will begin delivery.